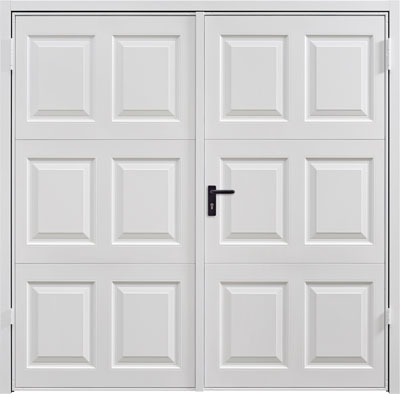 Side hinged garage doors offer an elegant design combined with simple operation. We sell a fantastic range of side hinged doors from market leading manufacturers Garador and Teckentrup. 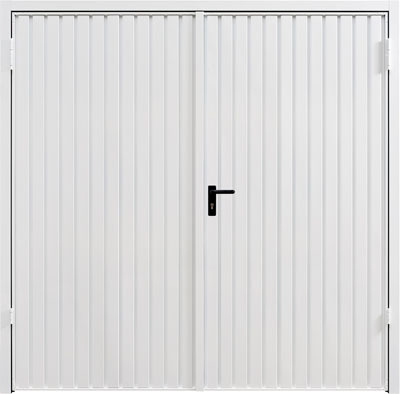 With an extensive choice of styles and designs, we are sure to have the perfect garage door to suit your style and budget. 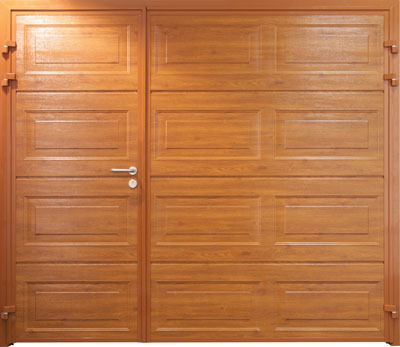 All doors are made to measure and include a 10-year guarantee. 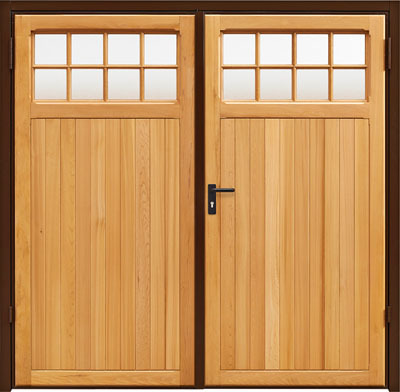 To arrange a free no obligation quotation contact us on 07989 391917. 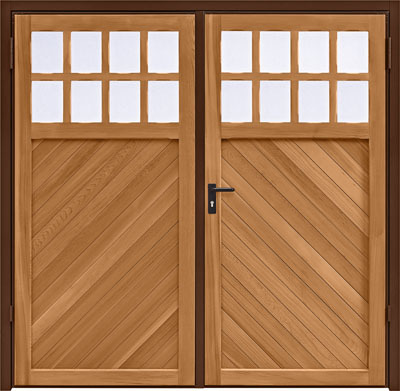 What are side hinged doors? 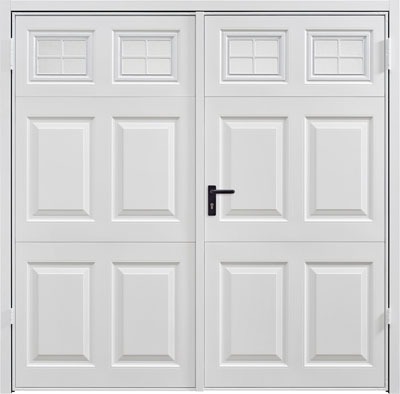 As the name suggests, side hinged doors are hung via hinges fixed to the outer sides of the garage door opening. 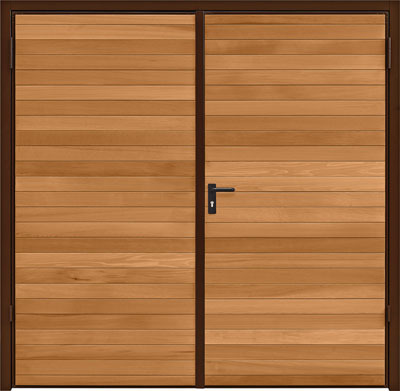 This style of garage door opens outwards and normally consists of two equally sized leaves. 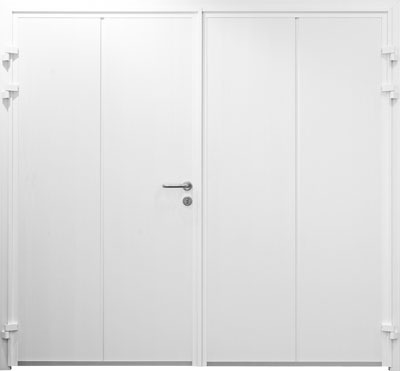 If required, we can supply and install 1/3 + 2/3 at request. 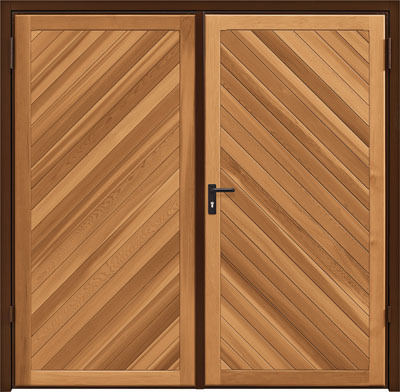 Because they consist of two leaves, the doors can be partially opened for easy pedestrian access. You can choose from either manual or automated operating mechanisms to suit your needs. 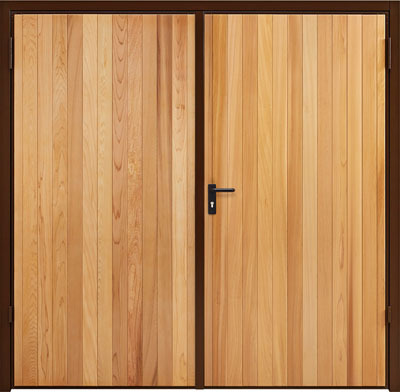 Our side hinged doors are available in a choice of either steel, GRP or timber with many different finishes and colour options to choose from including partially glazed options. 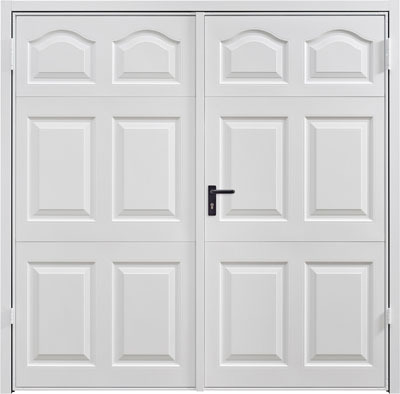 All side hinged doors come with shoot bolt latches for added security and you have the option to add a central key operated locking knob to enhance the level of security. 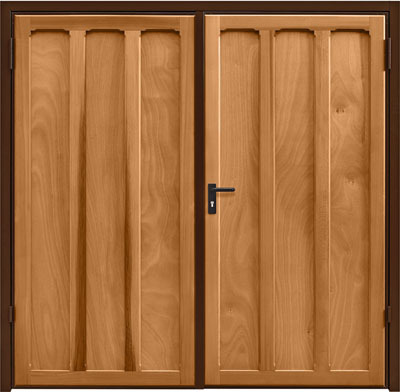 In addition, all doors come complete with weather seals to provide protection from the elements. 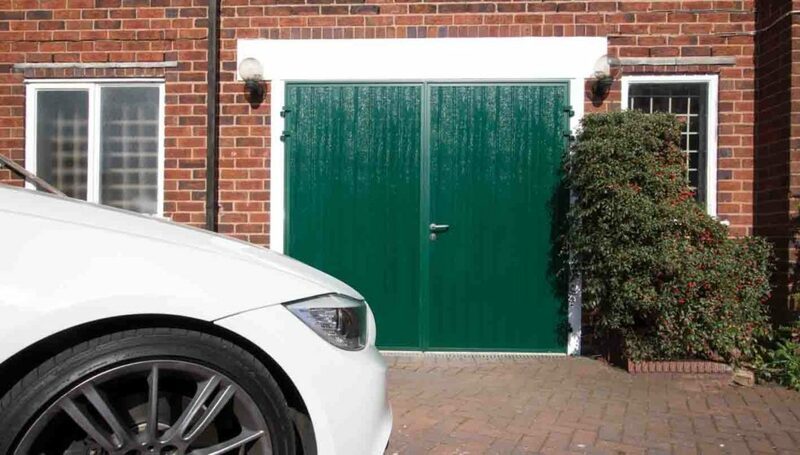 If you are looking to maximise available space within your garage, these doors will be the answer you are looking for. 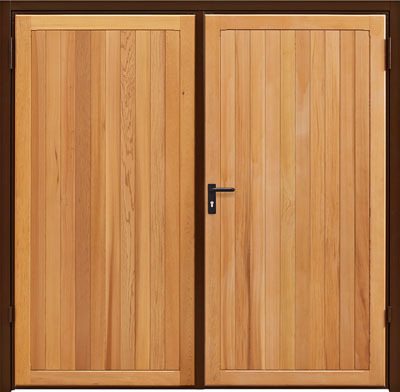 As they open outwards, they offer maximum internal space and drive through width.